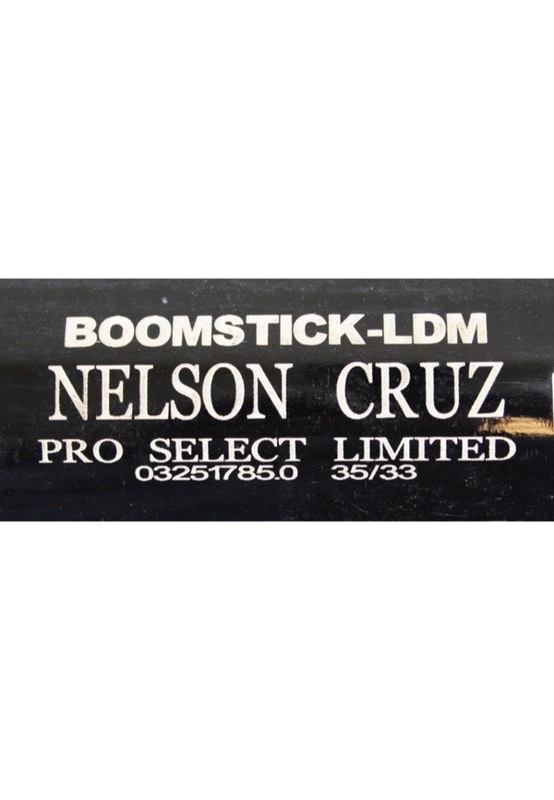 Manufacturer: Tucci Model Number: Boomstick-LDM Labeling Period: 2017 Length: 35 inches Weight: 34.4 ounces Wood: Maple Finish: Black. The bat is uncracked and shows evidence of excellent use. The length and weight are stamped on the front barrel. 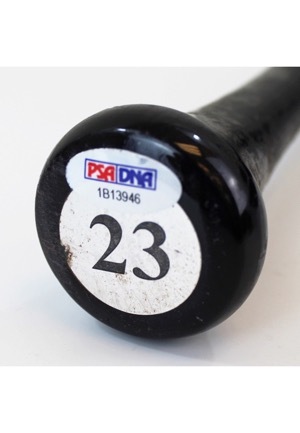 The player number “23” is on a sticker affixed to the knob. 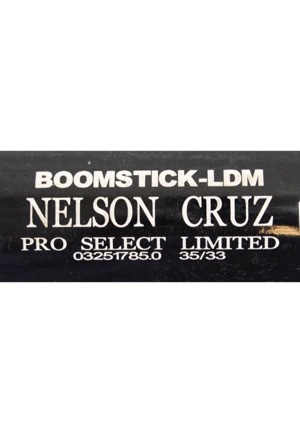 Cruz signed the front barrel in silver marker and in our opinion the signature rates a near 9. On the barrel is a MLB hologram serial number “JC350859”. Accompanied by a LOA from JSA and a PSA/DNA LOA.